One of the most powerful-ever tropical cyclones based on wind speed has hit the Filipino island of Samar, forcing millions to flee the area. At least three people have been killed and seven injured, with the death toll expected to rise, authorities said. 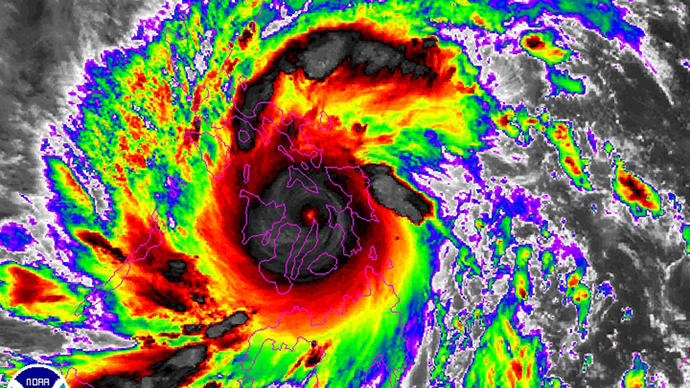 "The super typhoon likely made landfall with winds near 195 mph (313 kph). This makes Haiyan the strongest tropical cyclone on record to make landfall," Jeff Masters, director of meteorology at US-based Weather Underground, told Reuters. The disaster has also sustained wind gusts of 170 mph (275 kph), according to the Joint Typhoon Warning Center, besting the previous record held by Hurricane Camile, which struck the US in Mississippi with 190 mph (305 kph) winds in 1969. Authorities and telephone companies pledged to restore services within 24 hours, however. 13 airports have been shut down, with close to 450 domestic and eight international flights suspended. A total of 12 million people are currently at risk across the Philippines, the government said. Those numbers include residents of Cebu City, which has a population of about 2.5 million, and areas still attempting to recover from a deadly 2011 storm and a 7.2-magnitude quake last month. 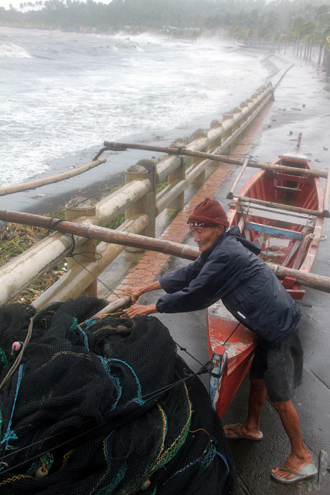 Earlier on Friday, Philippine President Benigno S. Aquino III warned of the super typhoon’s potential force ahead of its arrival, as thousands were being evacuated. "Let me repeat myself: This is a very real danger, and we can mitigate and lessen its effects if we use the information available to prepare," said Aquino. Aquino added that his government has three C-130 cargo aircraft ready, as well as 32 planes and helicopters. The storm is supposedly 500 miles (800 km) in diameter, according to CNN. Guiuan, with a population of 47,000, likely suffered severe damage from Haiyan, Weather Underground reported. 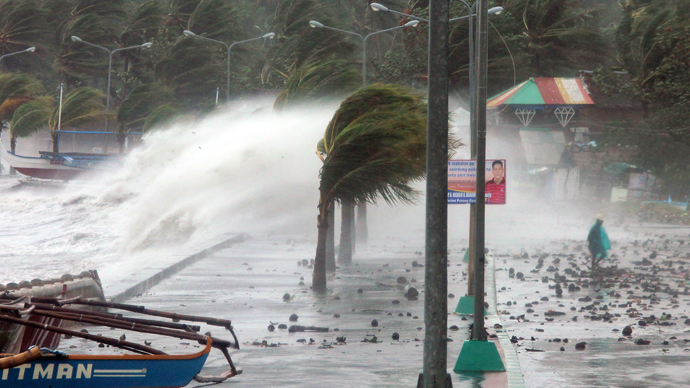 Communication with Guiuan was lost amid the storm, which hit there at 04:00 local time on Friday. Jeff Masters of Weather Underground said the storm’s winds and rain will cause “widespread devastation” through Central Philippines. The disaster was expected to move past the Philippines on Saturday and out over the South China Sea, where it could become even stronger and threaten Vietnam or China, Reuters reported.